This screen displays real-time GPS and ClerarNav data and status information. This display should update constantly. 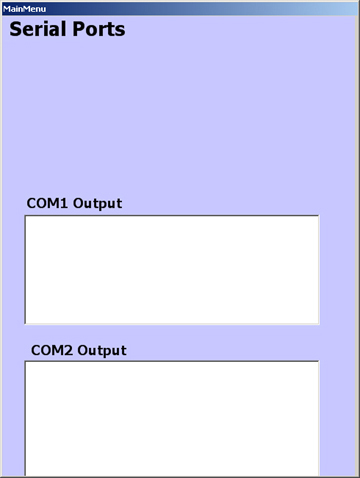 SIM Options allow you to Enable SIM operation and select Playback Speed or Pause SIM operation. 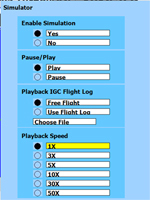 Free Flight or IGC File Playback are other options. This screen allows you to set the HH value to local time. The up/down button on the controller moves HH in one hour increments. All flight log and declaration information is stored in UTC time. 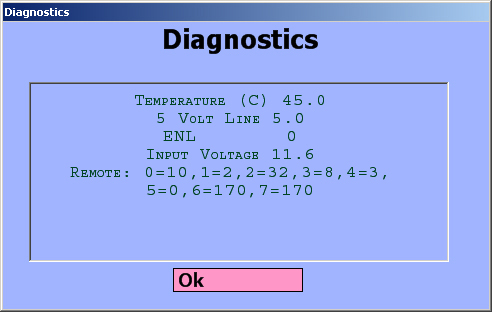 This screen displays real-time Serial Port data and status information. This display should update constantly. 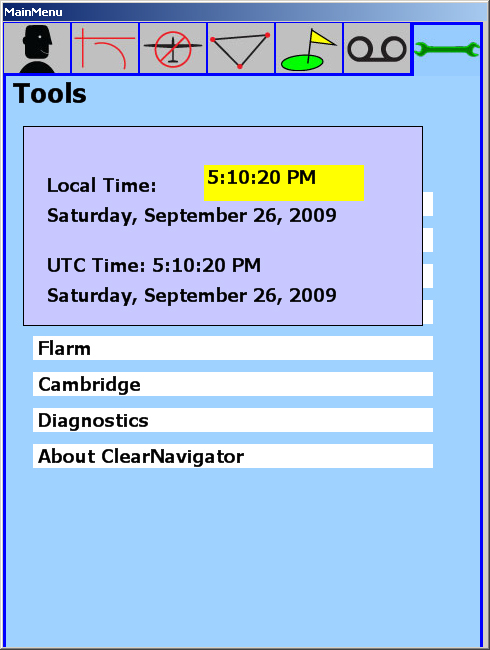 This screen displays real-time FLARM data and status information. This display should update constantly. 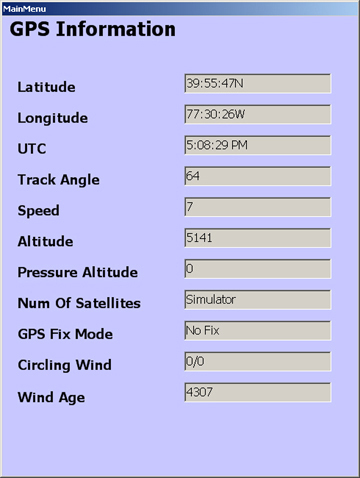 The menu allows you to get flight logs from the Cambridge instrument. 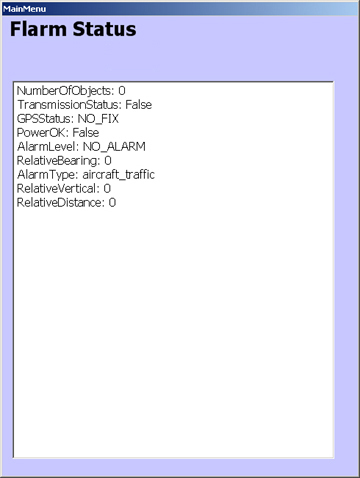 Real-time CAI data and status information. 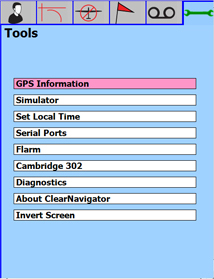 This screen reports ClearNav diagnostic data that will be used by NK technicians to research operational issues. This screen reports unit serial number, installed software and firmware versions, and the unit sealed status.